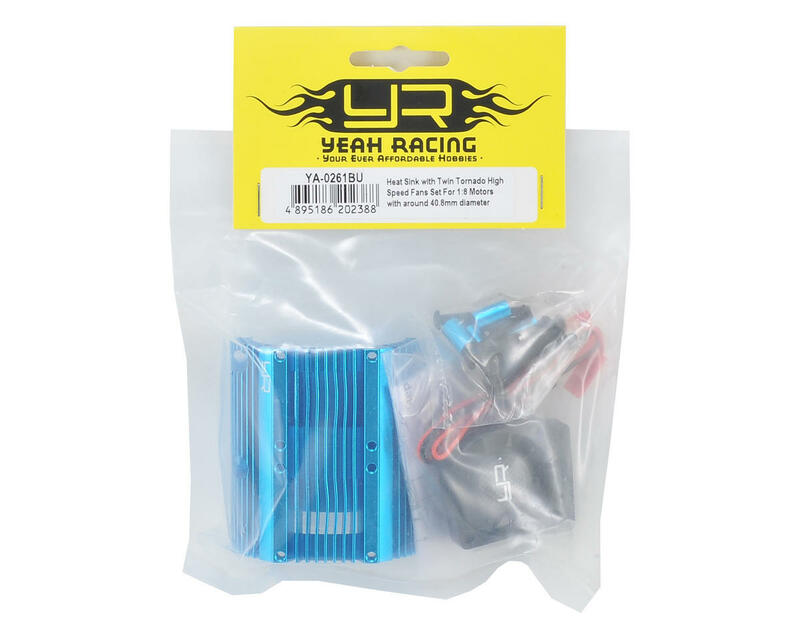 This Yeah Racing Heat Sink features a lightweight aluminum construction with a dual cooling fan design. 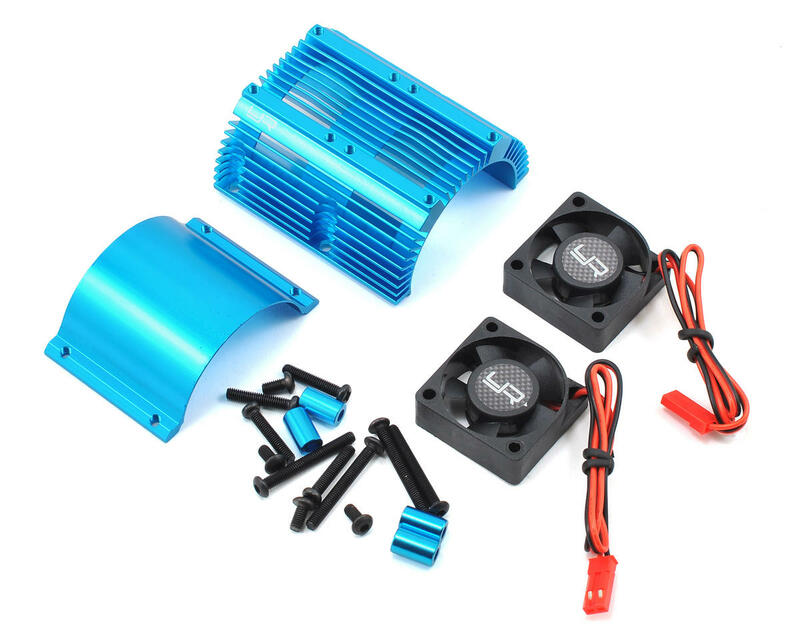 The heat sink is compatible with 1/8 scale motors around 40.8mm diameter and 57.9mm in length and includes two 30x30x10mm high-speed fans that peak around 14,000RPM. The fans can be installed directly to the heatsink or you can use the included 10mm spacers between the fans and the heatsink for enhanced airflow. Also available in black color (YEA-YA-0261BK).